Esko is a hip-hop artist with his own unique mood, message and sound. 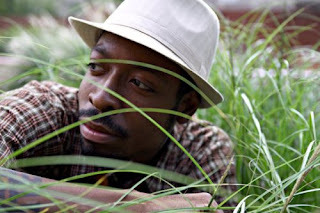 Before he came to Los Angeles, California from Raleigh, North Carolina in 2010, the emcee grew up in New Jersey with a mother that didn't want her son choosing LP's over textbooks, so he didn't start messing with the music until the age of 15, thanks to good friends and an easy-to-hide Walkman CD player. Once he found rap, the self-professed class clown put his humor and imagination to work, composing rhymes about who he was, where he lived and what he knew. Years later Esko is laughing all the way to the studio, living and working in sunny Southern California where the young artist is still writing music about the life he lives. The Seed is Esko's second album, and it's a perfect combination of experienced poise and youthful energy, which is what you'd expect from and artist who's a veteran to the industry but still comparatively new. His lyrics, beats and rhythms come from a very different place than many of his local contemporaries, and it shows. Drawing influences from such diverse talents as Andre 3000, Method Man and Eminem, Esko is a hip-hop musician operating in Los Angeles without sounding like every other artist in L.A. In 2006 Esko released Behind the Shades, his first album. A fluid combination of sounds reminiscent of acts like Pink Floyd, Portishead and rap artists from across the spectrum, 'Shades was followed up by an EP entitled The Floor Model in 2009. Along the way he forged new connections, practiced his form and perfected his method, but it would be three years before the world would get another LP from Esko. There's something magical about that second album. Nirvana had Nevermind. The Smashing Pumpkins had Siamese Dream. 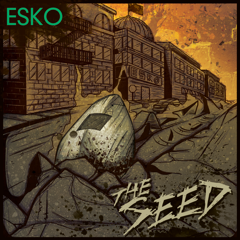 Esko's next creation, The Seed, has a similar energy, largely because the artist has had enough life experience since 'Shades to forge his next album from some serious psychological mettle and give it an incisive, philosophical edge. "The seed has to grow towards the light," Esko says about The Seed. A ten song analysis of what the emcee has seen and experienced over the last few years, you get the impression that the artist has flown far and wide only to hit the ground and have to start over many times during his career, but the spirit of rejuvenation has served him well, and The Seed is an album with layers and levels that anyone who's grown up tough can relate to. Set for release on August 23, 2012, The Seed is serious fun in addition to being a work of mature thought. There's a yin and a yang to everything, and any rap album that bangs the same emotional gong over and over again ain't going to last long. Thankfully, Esko has had enough life experience to know that pain + time = humor, a formula any stand up comic can relate to. Hate, anger, pain, fun, laughter...they are all ingredients for Esko's banquet, and he serves it up with aplomb. Produced by Sean Lane, whom Esko met while attending a university in North Carolina, The Seed has a sleek sound that only gets gritty when it has to underscore a message. Along with Lane's technical expertise, the album also has artists like Q-Smith, CAV3 and J-Kits to help pack more power into the LP's punch. Whether you're new to rap or you've heard it all, Esko has served up an audio gourmet feast everyone can enjoy.